Pour the sparkling wine into an ice-filled rocks glass. Shake the remaining ingredients with ice and strain into the glass. Garnish with the fruit and tarragon. 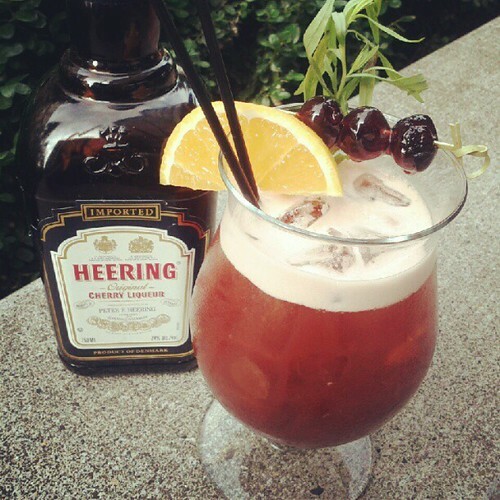 This is a revised version of a much larger drink I made for a sling competition, shown in the photograph.